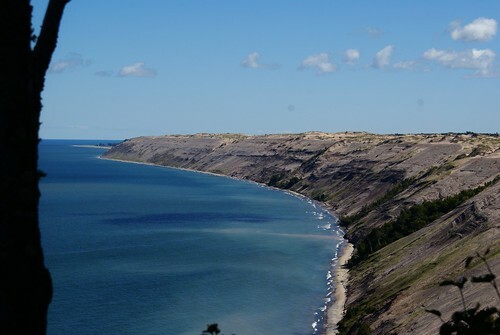 Today is our second and last day up at Pictured Rocks, so there's a lot to cram in before we drive back home. 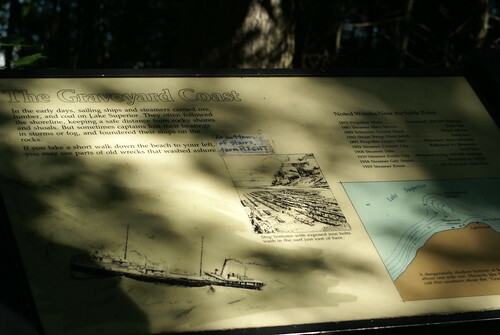 The first major destination was the Au Sable Light Station Trail, which leads to Au Sable Light Station. The past itself is along a dirt road, nestled in the woods. 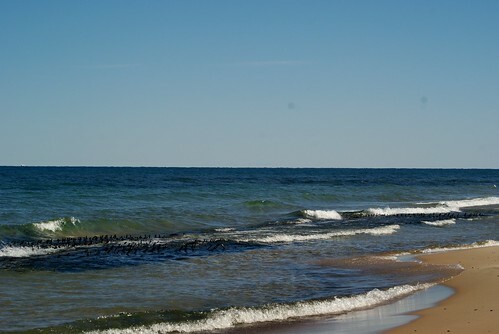 There were a few turnoffs to go to the beach and view shipwrecks. As noted on this sign, there is some viewing to the right, not left. 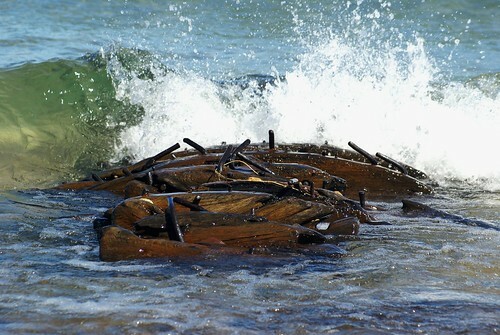 We walked a little and finally some wreckage in the water became visible. The whole thing was kind of awesome. 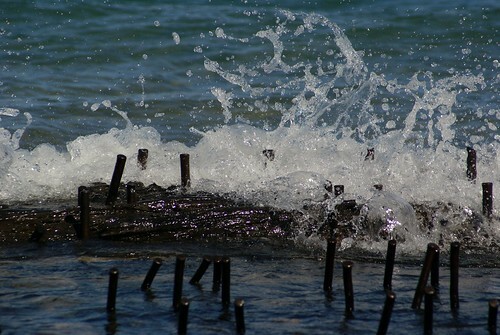 And there were quite a few clusters of wood and twisted metal, all along the beach. 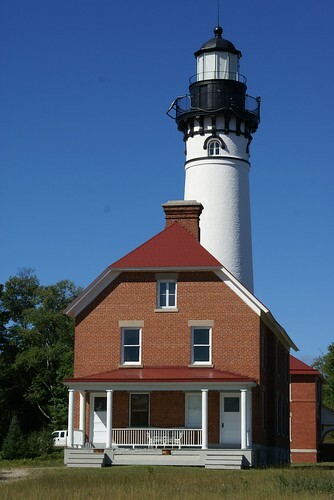 ...and the Au Sable Light Station. The whole trail was only about three miles round trip, and totally worth it. Since we were in the area, we also swung by the Log Slide Overlook. The view from the overlook is stunning and daunting. You can't see it from the photo (brush covers the view), but the log slide is about 500' from top down to the bottom, 300' of which is vertical. That is some extreme dune climbing that we did not do. The last major stop we made before heading home for the day was Sable Falls. 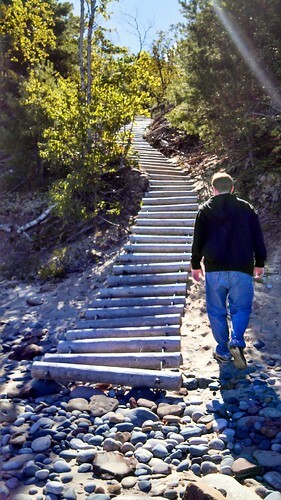 It's a beautiful trail with numerous stairs that wind their way down and along the falls and creek toward Lake Superior. The whole trip, while short, was fantastic. 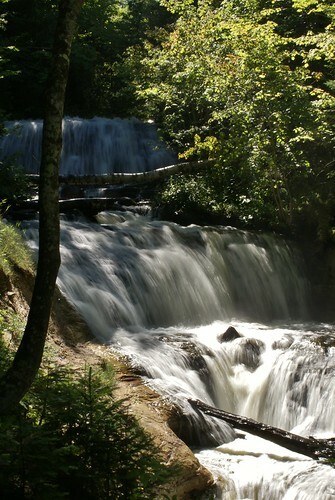 I liked our trip to Tahquamenon Falls a lot, but I really enjoyed how remote Pictured Rocks felt in comparison. There weren't a ton of people around (granted we are there during the off season) and you could hike for hours and hours along the dirt. A part of me would really love to camp there. Of course, the part of me that really likes indoor plumbing would not be happy. I've never actually camped that rustic before. Maybe someday. Also, Chris has a post with different photos on his blog too.